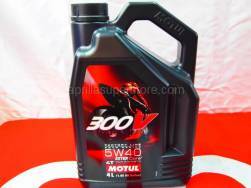 Description: 100% synthetic racing lubricant based on Double Ester-Technology. 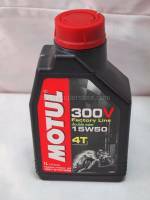 Endurance viscosity grade to compensate fuel dilution, reduces oil consumption and allow smooth shifting. Extremely high HTHS-viscosity. This item is NOT available for international shipment. This item can only be shipped via UPS Ground. 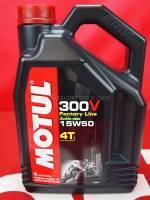 Recommended for all models of: '11-'16 RSV4, '11-'16 Tuono V4.